PC Bond Construction Updates Last April, the Voters approved a No Tax Increase Bond. Since that time, things have been busy at school!!! 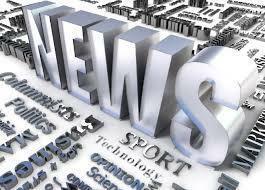 Take a look over in the News Section for more information. 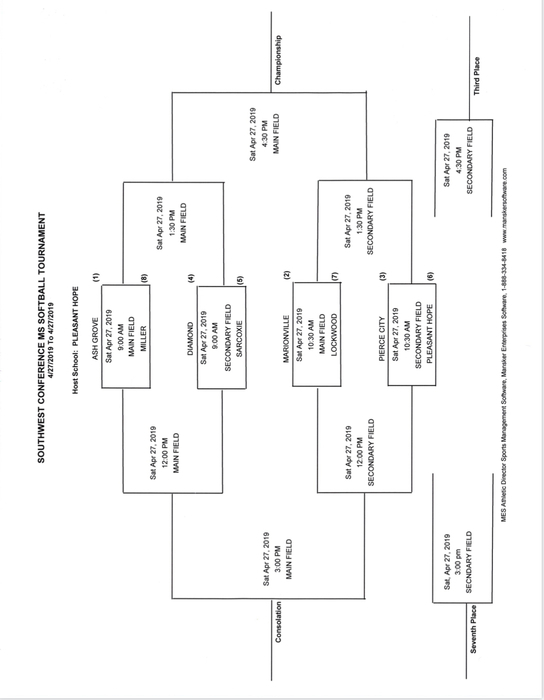 Softball will travel to Marionville on Thursday for a make-up game. The game will start at 5:00. Baseball vs College Heights has been moved from 4/29 to tomorrow night at 5:00 due to conflicts with the Miller Tourn. The softball tournament at Marionville for Friday, 4/19 has been cancelled. High School baseball vs Lockwood has been moved back to a 5:00 start. There will be no jv game tonight. JH Baseball @ Lockwood has been moved to Pierce City and will be played after the varsity game. Softball @ Marionville has been cancelled. Make-up date TBD. JH Softball vs Marionville has been cancelled. Make-up date TBD. Monday’s softball game at Southwest has been cancelled and will not be made up. 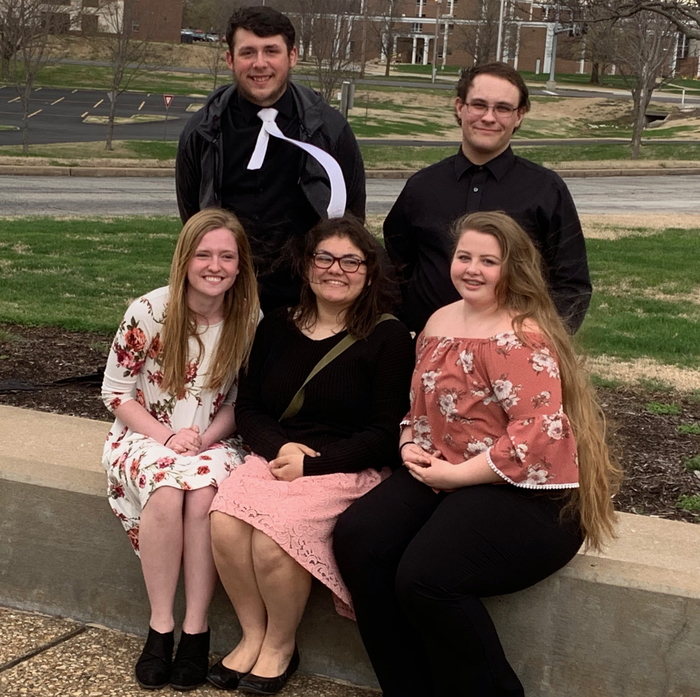 Pitt State Choir Soloist and Ensembles. 7 - ones, 1 - two. 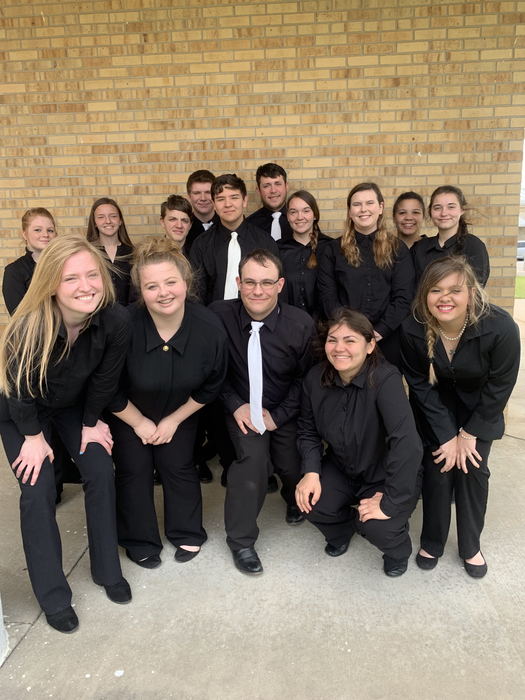 Pitt State Band Soloists and Ensembles. 16 - ones. 2- twos. 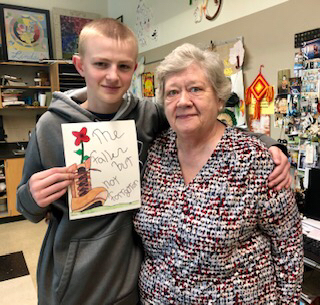 Congratulations to Skyler Grubaugh for winning the American Legion Auxiliary Poppy Poster Award!!! 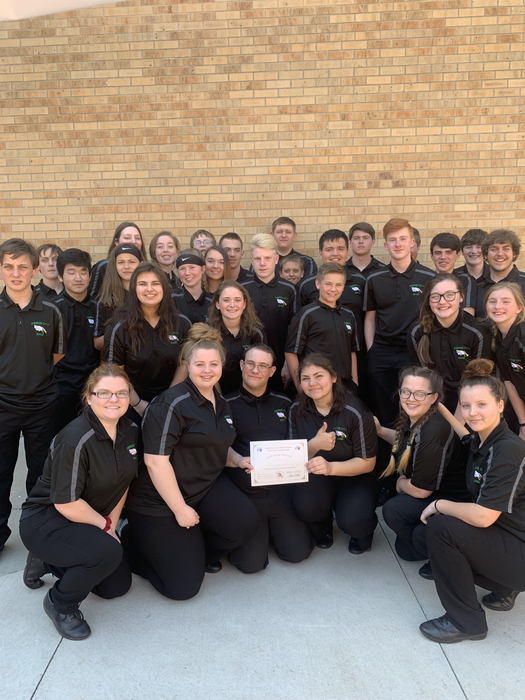 Select Choir earned a ONE at State! Exemplary performance! 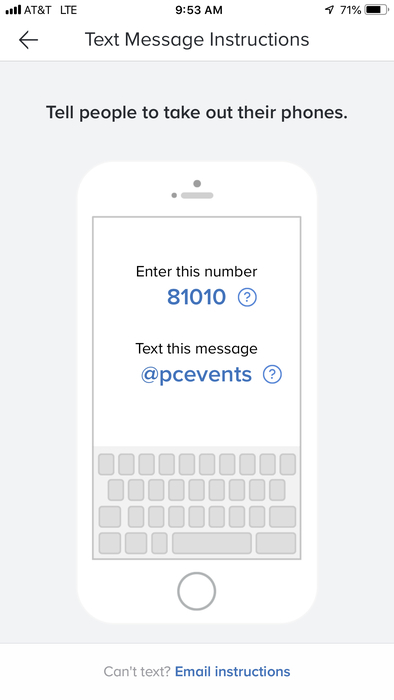 Please join the PC Athletics Remind to receive news, information, schedule updates, and all other things PC athletics. Tonight's baseball game against Pleasant Hope will begin at 5:00 with the JV game first followed by the varsity contest. 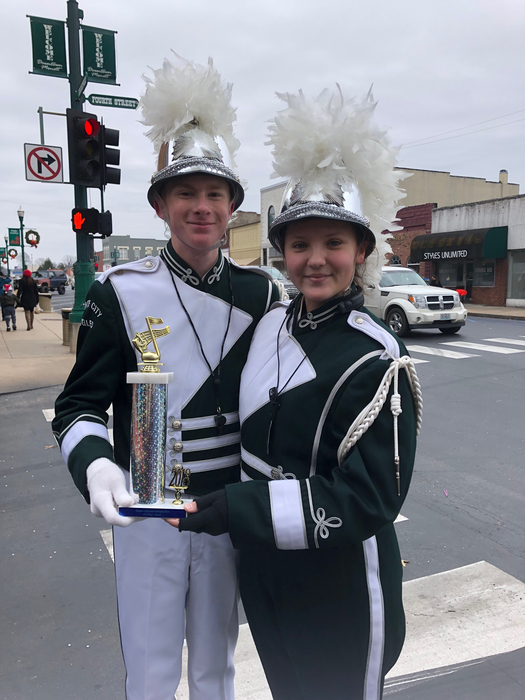 Straight ONES at State contest today! Exemplary performance! Softball Schedule The Diamond Tournament scheduled for tomorrow has been cancelled. Schedule Update Please disregard the softball cancellation. Softball will play against Wheaton tonight at Pierce City at 5:00. Softball at Wheaton for today has been cancelled due to field conditions. Make-up date TBD. We will have $5 Sports physicals on May 8th at 8:30 a.m. in the gym. We will have a meeting to handout paperwork as we get closer. Softball @ Mt. Vernon on 4/8 has been cancelled to make-up the conference game against Ash Grove. Softball vs Ash Grove, 4/8 at 5:00. Junior High Baseball vs Miller has been cancelled. Make-up date TBD. Junior High School Softball at Ash Grove has been cancelled. Make-up date TBD. High School Softball vs Ash Grove has been cancelled. Make-up date TBD. Baseball @ Miller has been moved to tonight due to possible rain tomorrow evening. The game will start at 5:00 tonight. Marie Leavitt, Karina Thompson, Andrea Stow Girls Trio received a One at District and going to State!! 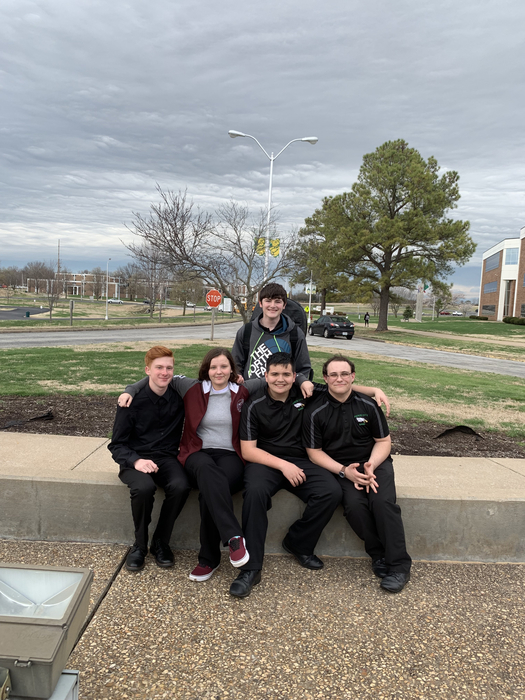 Andrea Stow, Cody Keever, Austin Burrell all received twos on solos at District . Congratulations to PCHS Scholar’s Bowl. They went 4-2 and finished 3rd in the SWC conference tournament today. Colten Cameron and Sengla Yang were All-Conference medal winners. Going to State with their solos!!! The JH softball tournament for tomorrow has been cancelled. Make up date TBD. Baseball at Weaubleau for tonight has been cancelled. Make up date TBD. High School Track at Ash Grove has been cancelled. JH Baseball at the Pleasant Hope tournament has been cancelled for today and tomorrow. Make up date TBD. JH softball at Fair Grove for today has been cancelled. Make up date TBD. Our automated attendance call system has malfunctioned today and sent out the wrong information. If you received a call and have questions about your student's attendance please call the appropriate office or check the parent portal. We apologize for the miscommunication. The first PCMS track meet will be this Monday, March 25th at 4:00. The meet will be hosted by Diamond but will take place in Sarcoxie. Diamond’s new track will not be ready. 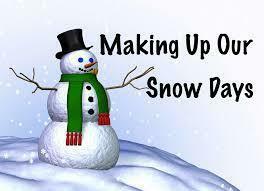 Monday, March 18 Pierce City Schools will be in session for a snow make-up day. The new volleyball coach is having a informational meeting and meet and greet Tuesday night at 6:30 in the high school cafeteria. All high school volleyball parents are encouraged to attend. Tomorrow’s softball game against Purdy has been moved to Purdy due to field conditions. 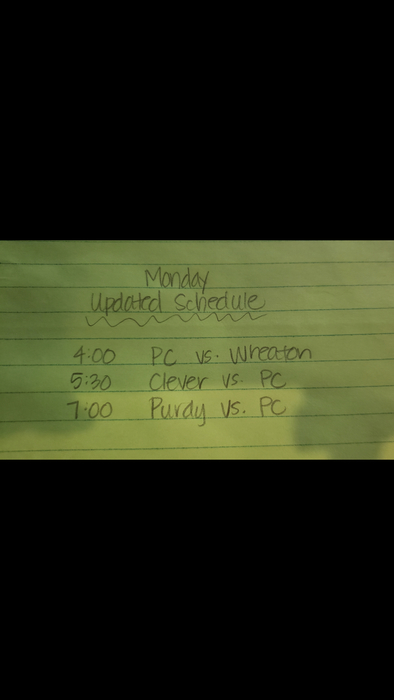 PC @ Purdy beginning at 5 tomorrow night. If your child owns a cell phone/digital device...please plan to join us for a Digital Safety parent presentation tomorrow evening, March 13th from 6:00-7:30 in the cafeteria. We will be serving pizza and giving away some door prizes. We hope to see you there! Today’s softball jamboree at Purdy has been postponed to Monday. The new schedule is attached. PCMS - Here is the supply list for the St. Patrick's Day dance on Friday, March 15th: 5th - drinks/water (mini size) 6th - cookies 7th - chips 8th - napkins Thank you! PTO Winter Carnival -March 7th from 5:30 to 7:00 pm. There will be games, bounce houses, and a bake sale. The baseball jamboree has been moved to tomorrow due to possible severe weather Saturday. 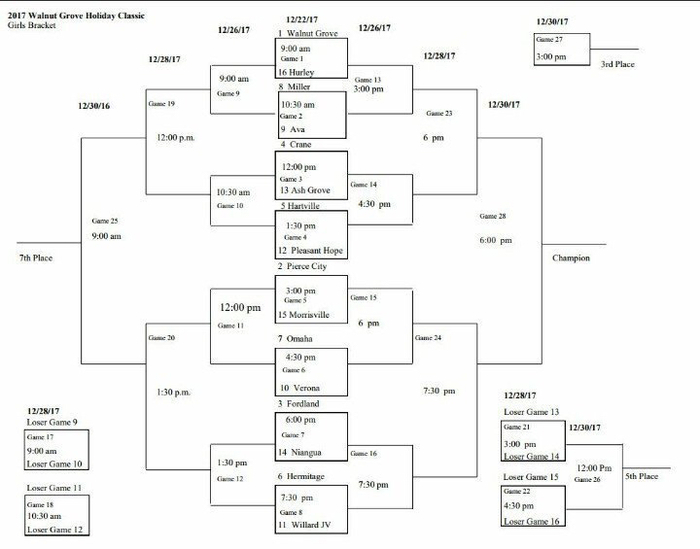 The EAGLES will play at 3:30 & 5 in Mt. Vernon. March 7th is the reschedule date for the PTO Carnival and the Elementary Art Show. Due to some unsafe road conditions, we will not have school today. Please be safe if you have to get out. The PC Lady Eagles are back in action tonight at 6 in Webb City vs the top seeded College Heights Lady Cougars. Tonight’s boys district basketball games will go on as planned. 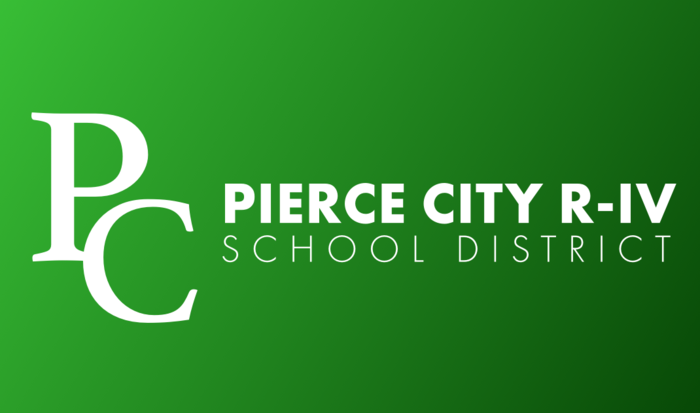 It is with an abundance of caution that Pierce City Schools will be dismissing at 1:00 today due to the winter weather advisory from the National Weather Service. 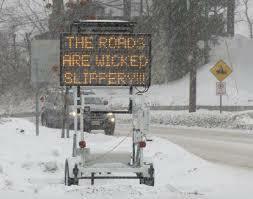 Please be safe and take it slow on the roads! Due to the National Weather Service forecast for potential icy conditions, the Pierce City School District will not be in session on Friday, February 15th. This day will be made up on Monday, March 4. Be safe! Tonight’s conference championship game at Marionville will begin at 6. It will start with the JV game, their senior night ceremony, and then varsity game. The boys basketball game at Seneca scheduled for Friday 2/15 has been moved up to 2/14. Jv games starts at 6. Tonight’s conference championship game at Marionville will begin at 6 and they will have their senior night ceremony between games. The girls game tonight vs Sarcoxie has been moved to tomorrow night with the boys starting at 5. The schedule will be JV Boys, Varsity Girls, Senior Night Ceremonies, and then Varsity Boys. Due to the inclement weather conditions, the Pierce City School District will not be in session on Thursday, February 7. This day will be made up on Monday, February 18. Stay safe today! Due to low numbers for Lockwood, boys varsity will play at 6 followed by a full JV game tomorrow night. Lancer Classic Update Because of the weather coming in this weekend, PC girls will now play tomorrow at 4:00. The PC boys game has been moved up to Thursday at 4:00. Both teams will play on Friday with times TBD. The Boys & Girls basketball teams travel to Purdy tonight for a non-conference game. The games will start at 5 and the schedule is Girls Varsity, Boys JV, & Boys Varsity. Pierce City Booster Club will hold a meeting at 6:00 pm December 17 in the high school cafeteria. Spring fundraiser and reconfiguring the football concession stand will be topics. All patrons are welcome. 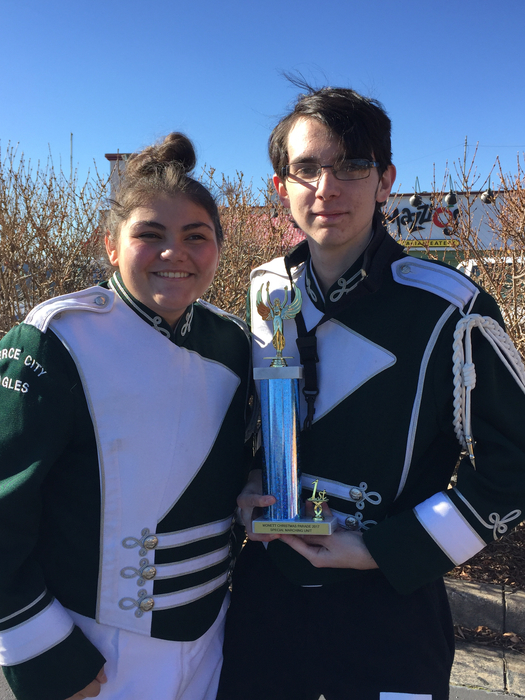 The Advanced Band captured First Place at the Monett Christmas Parade!!! The Pierce City Schools would like to invite you to a meeting where we will be looking at some drawings and ideas for improving the football stadium entrance, concessions, parking, and accessibility. This meeting will be on December 11, at 6:00 pm in the Cafeteria for anyone interested. Architects, Richard Werner and Jim Rutledge will be there to present drawings and gather more community feedback to create the improvements at the stadium. Please contact Kelli Alumbaugh, the Superintendent, at 417-476-2555 with any questions. JH Girls basketball vs College Heights has been rescheduled to Friday night and has been moved to College Heights. 5:30 start for the A game followed by a full B game. Just a reminder, school is in session tomorrow! JH Girls basketball for tonight has been cancelled. Make-up date TBD. Conference shirt pick up 5:00-6:00 in PCHS cafeteria. FALL BONFIRE We will have our annual bonfire tonight 10/26/2018 after the football game. It will be down by the grade school. All students and families are welcome to come and enjoy the evening. We had a minor school bus accident this morning around 7:45 am. The students, bus driver, and the driver of the other vehicle are safe and there were no injuries. Please contact the Superintendent's Office with any questions. We will recognize our senior football and band members tonight at 6:30. All senior parents need to meet in front of the tunnel at 6:20. We will begin announcing at 6:30. THE PC ATHLETIC BOOSTER CLUB BONFIRE FOR TONIGHT HAS BEEN CANCELED It has been rescheduled for next Friday night 10/26 after the football game. JV Football vs Miller for tomorrow night has been cancelled. Homecoming coronation has been moved to the high school cafeteria due to the rain. It will begin at 6:15. Football Homecoming tonight. Coronation at 6:15, game v. Miller at 7:00. It is also Military Appreciation Night. All military personnel and veterans receive free admission. The annual middle school informational meeting for Title funds will be held on Thursday, October 4th in the MS/HS cafeteria from 5:00-5:15 pm. All parents and community members are welcome and encouraged to attend. The Pierce City School District is seeking input from the community to improve the entrance to the football field in addition to making the Stadium easier to access. We will have a meeting on October 9th at 6:00 in the Cafeteria for anyone interested. Architects, Richard Werner and Jim Rutledge will be there to present ideas and gather community feedback to create a plan for the stadium. Please contact Kelli Alumbaugh, Superintendent at 417-476-2555 with any questions. The JV football game on 9/24 vs Pleasant Hope has been cancelled. PCMS will be holding another parent meeting at 6:00 tonight in the cafeteria for those interested in the EF (Education First) trip to Washington D.C.. The Tour Director for Pierce City's trip will be present to answer questions and provide additional information. Thank you! PCMS - The first Parent Organization (P.I.E.) meeting will be held on Monday, September 17th at 6:00 in the high school cafeteria. Also, progress reports have been sent out via email. Thank you! The First Baptist Church after school program on Wednesdays is only for K-4th grade. PCMS - I apologize that a date and time for the EF trip was not included in the previous message. The meeting will be Wednesday, September 5th at 6:00 in the high school cafeteria. All middle school students brought home an envelope yesterday containing information about the meeting. Please check their bags/backpacks. Thanks! There will be a Parent Meeting for any middle school parents interested in sending their students on the EF trip to Washington D.C. in May. This is not a school affiliated or funded trip. Thank you! 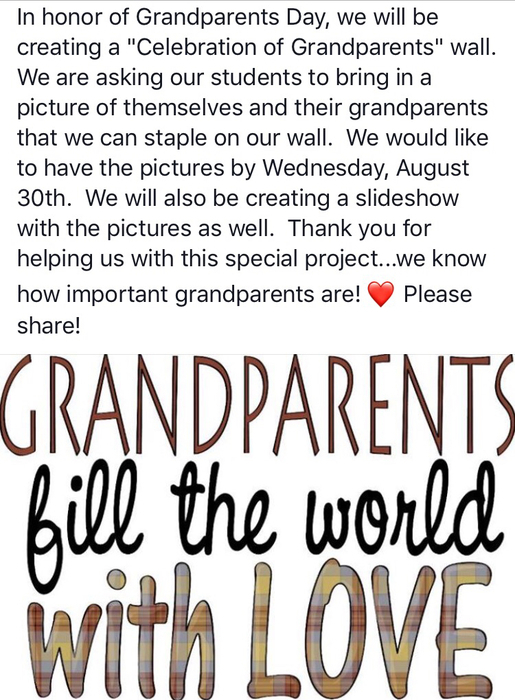 School pictures are this Friday, August 31st! First home games tonight! Come watch your Lady Eagles hit the Volleyball court against Wheaton and our Football team take on Lockwood!!! PCMS: If your child has any changes to their medical history, required medication, etc. please contact the school nurse at 476-2255 ext. 214 to update their file. 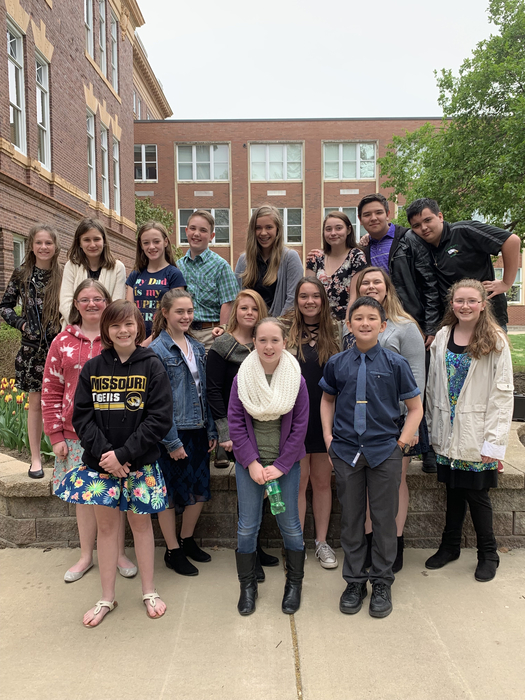 PCMS: Reminder - There is a Stand for the Silent meeting after school today in Ms. Thacker's classroom from 3:45-4:30 for any students interested in participating. CHANGE OF PLANS: PCMS volleyball practice and the parent meeting scheduled for today have been moved to the high school. Please join us for Open House tonight from 5-7! 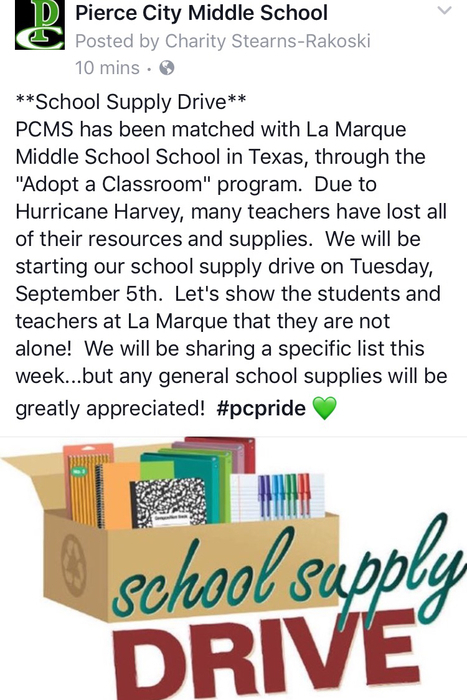 Students are welcome to bring their supplies to put in their lockers. Hope to see you there! The Lawrence County health department will be at the Pierce City middle school today from 1:30 until 3:30 to administer the meningococccal vaccine to seniors. The cost is $5.00. The Lawrence County health department will be at the Pierce City middle school on Tuesday August 7th from 1:30 until 3:30 to administer the meningococccal vaccine to seniors. The cost is $5.00. 9th grade chromebooks have not arrived. They will be passed out when school begins. 9-12 grade chromebook checkout is July 31-August 3 and August 7-8. You may pick up your chromebook from 8am-12pm or 1:00pm- 4:00pm each day. WE WILL NOT PASS OUT CHROMEBOOKS DURING OPEN HOUSE. 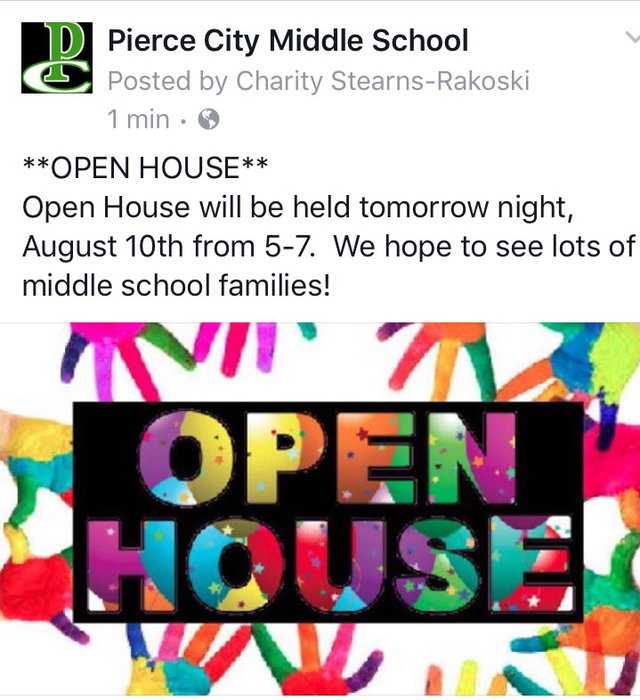 Pierce City School District open house is Thursday, August 9th from 5:00-7:00 pm. High school chromebook pick-up begins today. Please come between 8-11 or 12:30-4. 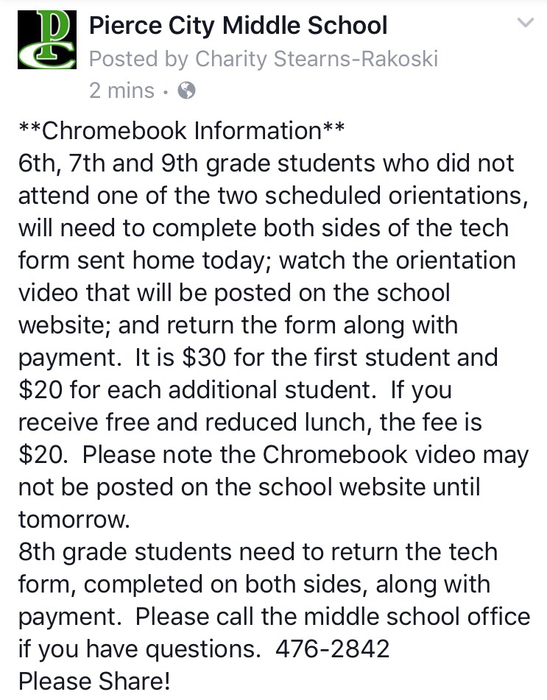 Freshmen may bring forms but will not receive their chromebooks until school begins. They have not arrived. Band Camp will be held July 23-27 from 1:00-8:00. The hiking trip will be on July 28! Youth Volleyball Camp on July 24-26 from 6-8pm in the high school gym. $30 per child. 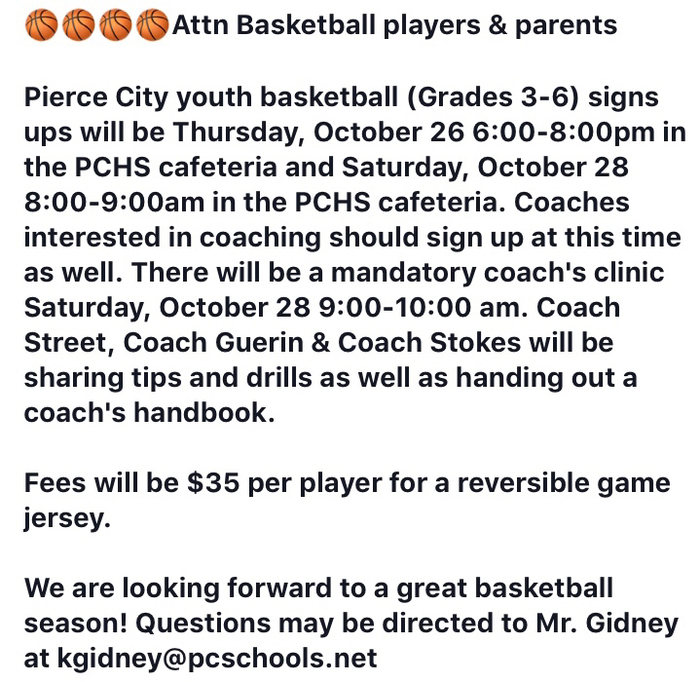 For more information please contact Coach Pry at epry@pcschools.net. Forms may be picked up at the elem or ms. Regular season volleyball practice will start Friday, August 10th. Practice will be from 4-6 in the elementary gym. Students interested in playing should plan to attend. Pierce City Athletic Booster Club meeting on Tuesday, June 12 at 6:30 pm in the high school cafeteria. This will be a re-organizational meeting. We will also be discussing new projects and new ideas on how to fund these projects for the 2018-2019 school year. Summer school students in grades 6-8 will be walking downtown tomorrow to advertise our car wash fundraiser! 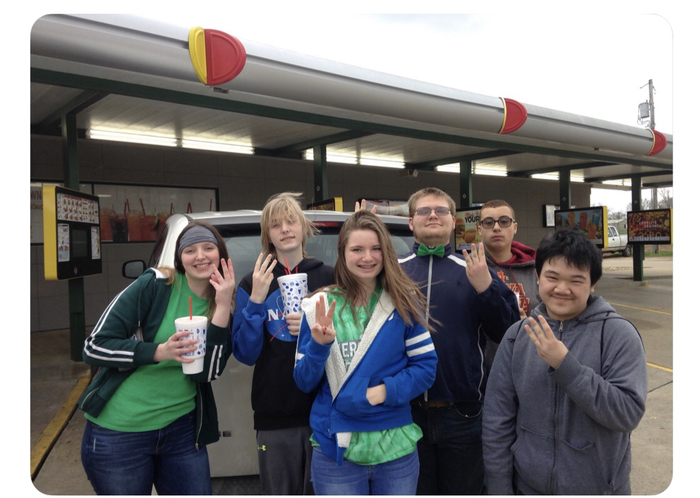 They are welcome to bring money to get a drink at Dollar General or Casey’s! There will be several notes coming home with summer school students today...please take a moment to look these over! The permission form needs to be signed and returned as soon as possible. Thanks! Any 6th or 7th grade girls that were not able to attend the volleyball meeting on Wednesday, but are still intetested in participating in summer camps, may pick up forms from Ms. Havens. Thank you! We will be selling the remaining Eagle Snack Shop inventory tomorrow during 5th block in Mrs. Guerin’s classroom. Bring your pocket change for one last snack from the Eagle Snack Shop! Thank you! Just a reminder that we will offer physicals tomorrow morning in the gym beginning at 8:30. The Class 2 District 12 Championship Game between Purdy and Pierce City has been pushed back to a 6:00 start. Freshmen Orientation is Thursday, May 17 at 6:00 pm. in the high school cafeteria. We will discuss freshmen scheduling, A+ program, and student activities. The annual WIDA testing reports for all English Language Learner students are now available online. Please contact your student's office for further information. Reminder: The band concert is tonight at 7:30 in the hs gym. The choir concert is tomorrow night at 7:30 in the hs cafeteria. Thank you! There will be a volleyball meeting after school this Wednesday, May 16th from 3:45 to 4:15. This will be for any girl going into seventh or eighth grade that is interested in playing volleyball next year. 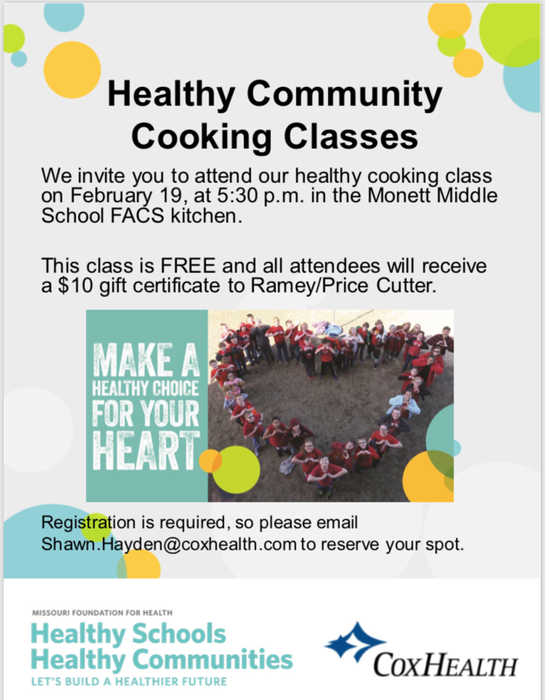 Parents are welcome to attend. Thank you! The 2018 High School Athletic Banquet is tonight at 6:00 in the gym. Come and help. us celebrate our Athletes!! Please join us for the high school awards assembly at 12:45 in the gym. Seniors at 12:45 and 9-11 grade after. Please join us tomorrow at 12:45 for the high school awards assembly. 12:45 will be senior scholarship and awards followed by 9-11 grade awards. The last few weeks of school are very hectic. Please check the district website and app for updated events and dates. High School Awards Assembly is May 10 at 12:45. The community is invited to join us in celebrating the Class of 2018 as they receive their scolarships and awards. Grade 9-11 will be honored after. If possible, middle school students need to bring earbuds or headphones from home for MAP testing. Testing starts tomirrow and runs through May 10th. We hope students are well rested and ready to go! Breakfast will be served to ALL students free of charge. Lady Eagles Softball will travel to Sarcoxie tonight to take on Mt. Vernon in the District Championship. First pitch is scheduled for 5:00. Game can be heard on mtneers.com or 87.9. Come and support your LADY EAGLES!!! 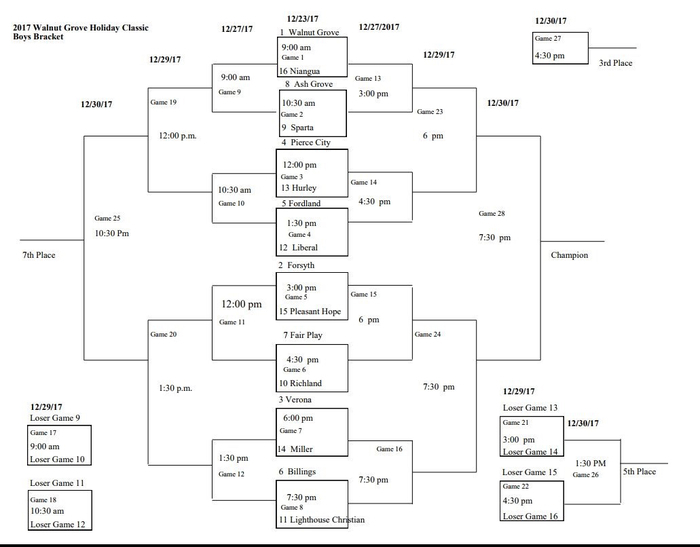 Due to the possible weather on Thursday, the semifinals of the Miller Tournament have been moved up to tomorrow. Baseball will play Purdy tomorrow at 4:00 at Miller. Baseball today at Crane has been canceled and will not be made up. Softball tomorrow at Purdy has been canceled due to schedule conflicts and will not be made up. Baseball today at Purdy has been canceled. Make-up date TBD. Softball at Ash Grove scheduled for today has been canceled and will not be made up. Date Correction: The 2018 High School Athletic Banquet will be Friday, May 11th at 6:00 PM. Meal will be provided followed by award presentations. Come out and support your EAGLE Athletes. The 2018 High School Athletic Banquet will be Saturday, May 12th at 6:00 PM. Meal will be provided followed by award presentations. Come out and support your EAGLE Athletes. Baseball at Marionville scheduled for tomorrow has been canceled. The middle school track meet in Sarcoxie has been cancelled due to the threat of severe weather. And, there will be NO track practice today, April 13th. Thank you! There will be NO JH Track practice after school today. Today’s JH Track meet at Sarcoxie had been canceled. Make up daye TBD. There will be NO Friday Study Hall at PCMS for missing assignments, due to the possibility of severe weather. Thank you! The April regular Board of Education meeting has changed from April 25th to Thursday April 26th at 6:30 PM. 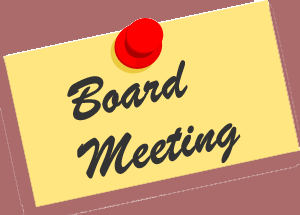 The PC Board of Education Reorganization Meeting will begin at 6:30 in the superintendents office conference room. Lady Eagles softball team will host Sarcoxie tonight at 4:30. The @PCHS__Baseball teams sweep Jasper last night on the road. Varsity 13-0 JV 7-4 Varsity improves to 6-3 on the year. The Lady Eagles softball team traveled to Jasper last night and picked up 2 wins. Varsity 7-2 JV 9-6 Varsity moves to 7-4 on the season. The Diamond softball tournament scheduled for tomorrow has been canceled due to the forecast. PC is hosting the monthly All-Pro Dad's breakfast on Friday April 6th in the HS Cafeteria. The event is open to anyone with kids in any grade. We hope to see you there. JH Track heads to Marionville for a meet today at 2:00. Baseball heads to US Ballpark in Ozark to take on New Covenant Academy today at 4:00. All Pro Dads will meet on Friday, April 6th at 7:00 am in the high school cafeteria. If you have a child that will be attending Kindergarten next year & has not yet been screened, please call the elementary office at 476-2255 to make an appointment. Unofficial results: Proposition I passed with a 63% passing rate. Thank you for supporting the district. Softball vs Clever will go on as scheduled. The Track meet at Lamar scheduled for tonight has been canceled. 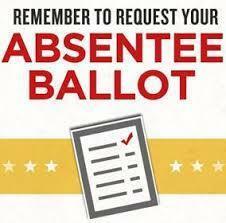 Along with Prop I the district has 2 seats for the Board of Education on tomorrows ballot. The district cannot endorse any candidate but we are greatful for the following candidates: Joe Crowell, Larry Zebert, Zachary Carnes & Kenny Fenske. PCMS Families: Don’t forget to join us from 6:30-7:30 tonight for desserts, board games, an art show, themed basket drawing and voting on which middle school teacher gets a pie in the face! Students may turn in their raffle tickets anytime before the dtawing at 7:30. We hope to see you there! Baseball will now play New Covenant Academy at 4:00 Wednesday at U.S. Ballpark in Ozark, MO. Baseball vs Galena scheduled for today has been canceled and will not be made up. A decision on the Baseball game vs Galena will be made around 1:00. Boys Golf at Windmill Ridge scheduled for today has been cancelled. Make up date TBD. Please join us for a PCMS parent organization family event on Monday, April 2nd from 6:30-7:30. There will be assorted desserts, board games and a 5th-6th art exhibit "Oceans of Art"! Track has their first meet of the year tonight at 4:00 in Ash Grove. Softball heads to Lockwood tonight to take on the Lady Tigers. Game scheduled for 5:00. Save The Date: High School graduation is May 20th at 6:00 pm. in the high school gym. Baccalaureate ceremony will be at 4:00 in the gym. Baseball and softball vs Sarcoxie for tonight have been canceled. Make updates TBD. A decision on the baseball and softball games vs Sarcoxie will be made at 12:30. If we are able to play both games will be at Sarcoxie starting at 4:30. Because it is a Wednesday night there will be no jv games. JH Track @ Diamond scheduled for today has been cancelled. Make-up date TBD. Softball vs Sarcoxie scheduled for today has been postponed to tomorrow weather premitting. Game time has been changed to 4:30. Baseball @ Sarcoxie scheduled for today has been postponed to tomorrow weather premitting. Game time will be 4:30. **CANCELLATION** The middle school track meet scheduled for today in Diamond has been cancelled. Track practice will run until 4:45. Baseball at Crane for tonight has been cancelled. Make up date TBD. Softball heads to Liberal tonight to take on the Lady Bulldogs. Game is scheduled for a 5:00 start. Baseball heads to Crane tonight to take on the Pirates. Game is scheduled for a 5:30 start. Baseball Schedule Change Baseball at Purdy has been moved from Friday, March 30th to Wednesday, April 25th at 5:00. Reminder: School will be in session Monday March 26th and NOT in session on Friday March 30th due to Good Friday. Baseball travels to Monett to take on the Cubs. Games scheduled for a 5:00 start. Baseball travels back to the Purdy Tournament tonight to play East Newton at 7:00. Reminder: We will be in school on Monday March 26th and will NOT be in school on Friday March 30th for Good Friday. Thank you parents for making student attendance a priority. We have 92.92% of our students here 90% of the time which is a state goal. Please continue to help by making attendance a priority. Baseball takes on Purdy tonight in the Purdy Tournament. Game scheduled to start at 5:00. GO EAGLES!! 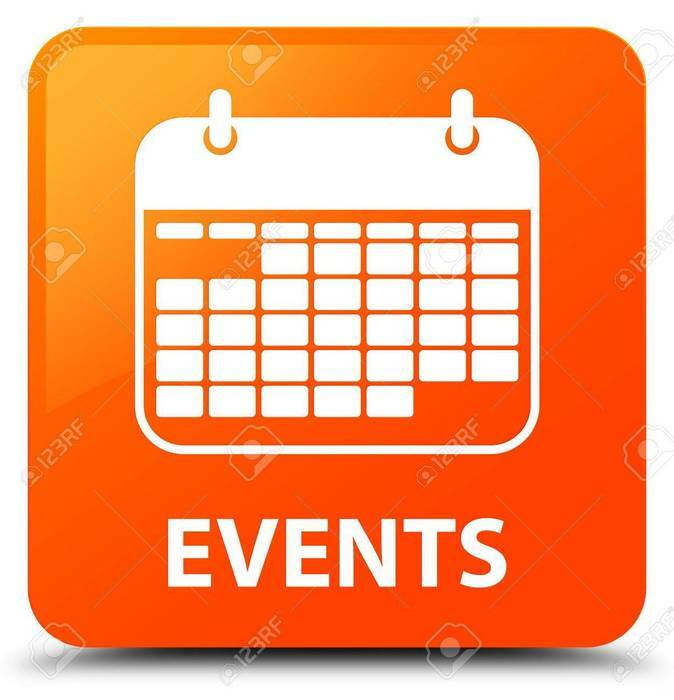 Spring is a busy time, please refer to the district website and app for an updated listing of district events. You can also view athletic schedules with the athletic tab. Just a reminder that school is in session tomorrow March 19th as our 3rd, and hopefully last, snow make up day. You can now view Board of Education minutes on the district website. Go to "Menu", select Board of Education drop down and then Board Minutes. Minutes from 2017/18 have been posted. 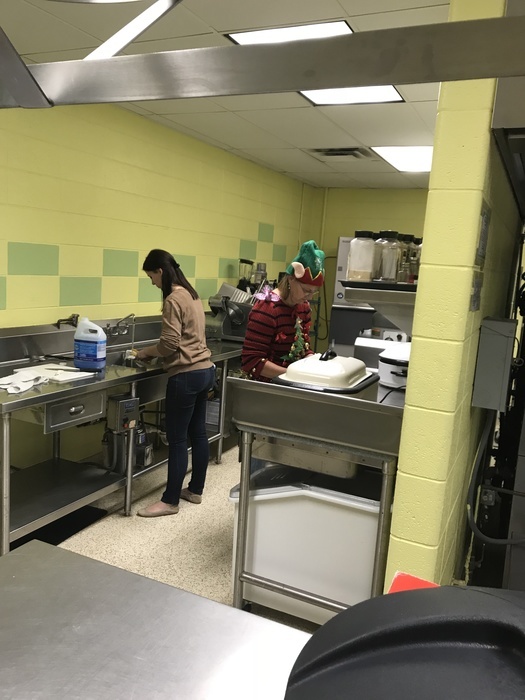 There have been some new "News" stories posted on the district website and app this week. 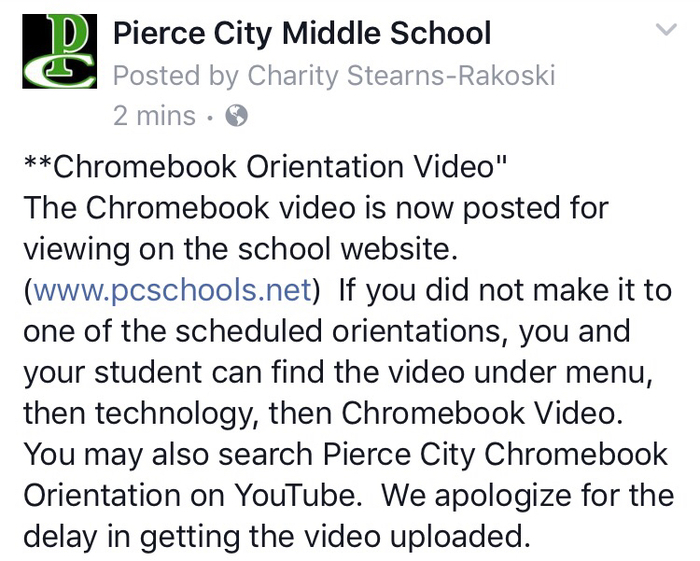 Visit www.pcschools.net or the district app to read and see what's been going on. Just a reminder that the parent organization will be holding a bake sale fundraiser tomorrow from 11:00-12:30. Also, the PCMS St. Patrick's Day dance will be held from 6:00-8:00 in the hs cafeteria. If you want to learn more about Proposition I, there is a public forum tomorrow, Thursday March 15th at 6:30 PM in the Pierce City public library. The MS Parent Organization will be holding a Bake Sale Fundraiser on Friday, March 16th during the MS and HS lunch period. They would appreciate any donations of baked goods. Those can be dropped off anytime before 11:00 at the middle school office. Thank you! Progress reports were e-mailed home today. If you do not have a valid e-mail on file it was mailed home. Due to a change in the weather forecast for tomorrow, the baseball jamboree at Mt. Vernon will be played as originally scheduled. We will be holding an assembly this Friday, March 9th with the organization, Stand for the Silent. Guest speakers will share their personal experience with bullying and the devastating effect it had on their family. 4th-7th grade 9:15-11:00 and 8th-12th grade 12:45-2:15. Both assemblies will take place in the high school gym. Parents are welcome and encouraged to attend either session. Please call the middle school office with any questions. Thank you. Preschool and kindergarten paperwork can be picked up on Thursday, March 8th from 4 to 6 pm at Central Elementary. Preschool and kindergarten screenings are scheduled for Friday, March 16th. Call 417-476-2255 to make a screening appointment for your child. Just a friendly reminder the Kids First committee will host a Proposition I open community meeting at 6:30 tonight in the HS cafeteria. Central Elementary students raised over $7600 for Hoops for Heart! Way to go! We have been made aware of a possible lock down situation in Jasper County. However, after checking with local law enforcement there is no, nor was there, a threat to our district. We are good to go for school today, February 22nd. Roads are wet but not slick and weather expected to improve. It's too early to know for sure, but please be prepared for the possibility of a 2 hour late start on Thursday the 22nd. We will make an official announcement when we know for sure. Due to the updated NWS forecast and earlier arrival of freezing precipitation Pierce City will dismiss school at 2:00 today. Decision regarding school tomorrow will be made in the AM after NWS conference call and checking roads. Class 2 Boys BB District 12 update: Thomas Jefferson vs Sarcoxie is moved to Wednesday Feb 21st at 4:30. All other games on schedule for today Tuesday the 20th. 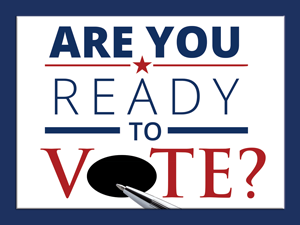 If you are going to be out of town or know someone who will be out of town April 3rd, remember you can file an absentee vote for the Prop 1 Bond Issue. 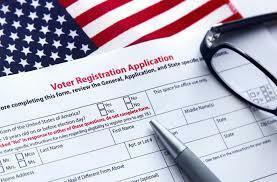 Contact your county clerk for information. 7th graders going on the the Career Exploration field trip tomorrow: please make sure you eat breakfast, as lunch will not be served until 12:30. Also, short sleeve shirts are recommended. STUDENT PICK UP FOR 2-20-18. Due to district basketball, we are moving PCMS pick up to the west end of the school. All MS students will need to be picked up on Myrtle St near the solar panels. Boys & Girls District Basketball Brackets are posted on the district website at www.pcschools.net in the News section. Date Change: Boys and Girls Varsity basketball games moved from Friday to Thursday (2-15) of this week. 6:00 Girls Varsity/ Senior Night/ Boys Varsity/ Military Appreciation at half of boys game. There is a P.I.E. (Partners In Education) meeting tonight at 6:30 in the high school cafeteria. All middle school parents are welcome to attend. Thank you! 8th grade rib orders will be delivered tomorrow, Feb. 14th at 2:00. They may be picked up in the middle school office. 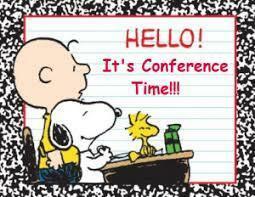 Just a reminder that Parent/Teacher Conferences are today from 2:00-7:30. From PCMS: Just a reminder that parent conferences are scheduled for tomorrow from 2:00-7:30. Everyone is welcome to attend and visit with the teachers of your choice. Thank you. 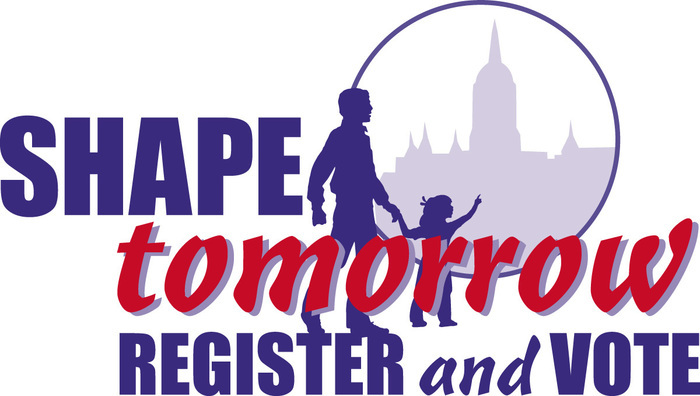 If you are not a registered voter, you can register in any building office during parent/teacher conferences on Monday the 12th. Reminder: Parent/Teacher conferences are Monday Feb 12th from 2:00-7:30 in each building. Reminder: 9-12 grade students wanting to take the ACT April 3rd for $37 should turn in their form and money by tomorrow. The Healthy Kids after school program at First Baptist Church has been canceled today due to transportation issues. The PCMS P.I.E. meeting scheduled for tonight has been moved to next Tuesday, February 13th at 6:30 in the high school cafeteria. All middle school parents are welcome to attend! 8th grade rib orders are due today. Ribs will be delivered for pick-uo on February 14th. Thank you! After checking roads & parking lots we are good to go for school today. A couple of patchy slick spots but mostly dry. Tonight's home boys basketball game has been postponed due to the forecast this evening. Will be played Wednesday 2/7. Per the district calendar we will have school on February 26th & March 19th as weather make up days. The roads greatly improved overnight so school is in session today, Feb 6th. Saw only a couple of patchy slick spots so still drive carefully. Pierce City High School is offering the ACT on April 3 for 9-12 grade. Cost is $37 and registration forms are in the high school office. Please make checks to PCHS. Registration is due by Feb 9th. Please remind all 6th - 8th grade students to charge their Chromebooks tonight! Thank you! The January regular Board of Education meeting will begin at 6:30 in the HS Art Room. The meeting is open to the public. Please help us with elementary arrival by pulling forward. We’d like to unload two cars at a time. Thanks! This is just a reminder that we’re hosting a 7th and 8th grade Parent Night, this evening from 5:30-6:30! We would love to see you there! We will be sending home a note today asking you to update your address and county of residence. Please complete and return that information as soon as possible. Thank you! Central Elementary’s PTO meeting will be held at 5:00 pm on Tuesday, January 23rd. Please join us! 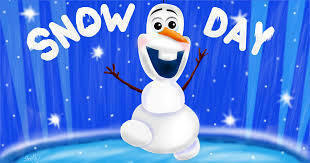 This is a reminder that school will be in session tomorrow January 22nd as a snow make up day. PCMS will be hosting a 7th and 8th grade Parent Night on Tuesday, January 23rd from 5:30-6:30. Teachers will have activities and games set up in their classrooms. We would love to see a big crowd! After extensive driving, conferring w/ bus director & warmer temps we will be in school tomorrow Jan 19. There are a few slick spots on the south side, however majority of roads are safe for travel. As per the district calendar, which can be found on the district website, the following dates will be used for make up dates: Jan 22, Feb 5th and Feb 26th. School is cancelled tomorrow January 18th due to unfavorable road conditions. School is closed on Tuesday January 16th due to the snow covered roads. As per the district calendar it will be made up on Monday January 22nd. 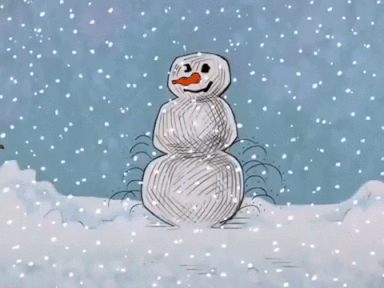 Stay safe and warm! Homecoming is still on for tonight. Coronation at 5:45, varsity girls at 6:00 and varsity boys at 7:30. Come out to support the PC Eagles. We will be dismissing school today, Thursday, January 11th, at 12:30 pm. Parents: We are getting feedback that the all call message regarding school dismissal may have not included the 12:30 dismissal time on your voicemail. We are working to get this corrected. School will dismiss at 12:30 today. Tonight’s junior high basketball game in Diamond has been cancelled due to the threat of inclement weather. Thank you. Due to the NWS forecast PC will dismiss school at 12:30 today. We apologize for any hardship this may cause, however we want to gets kids and staff home safely. 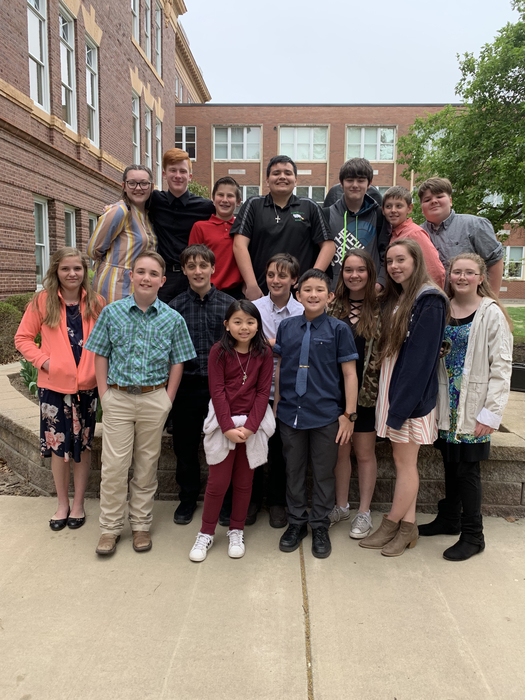 Central Elementary’s Honor Choir practice after school is cancelled today. Road Runners after school has been cancelled due to the threat of inclement weather. Thank you! There is a possibility of inclement weather today. We will monitor closely & announce ASAP if there is a need to dismiss early. We will use social media & the all call system. Hoping for a full day! Reminder: School dismisses at noon tomorrow December 20th for the last day of the 1st semester. Just a reminder that school will be in session on Monday December 18th. The 1st semester ends December 20th w/ a noon dismissal. PCMS is still collecting donations for our Senior Citizen Christmas Dinner! Any donations would be greatly appreciated. Thank you very much for the supplies we've already received. Correction: Cookie dough will be delivered this Friday, December 15th...not 16th. Thank you! Cookie dough will be delivered this Friday, December 16th. Orders can be picked up from 2:00-5:00 in the HS cafeteria. All orders must be picked up before 5:00. Thank you! The master calendar survey closes after Monday Dec 11th. If you have not completed the brief survey please visit our website (pcschools.net) or school app & access the link in the "News" section. The Pierce City R-VI school district scored a 95/100 (95%) on our 2017 state Annual Performance Report! We cannot do this without great kids, a caring staff and a supportive community. THANK YOU! **5th Grade Parents** Please join us tomorrow evening from 5-6 for a 5th grade parent night! Thanks and we hope to see you there! Thank you for sending your kids to school! As a district we have 96.04% of our kids @ school 90% of the time. We are above the state "on target" goal of 90% here 90% of the time! The cookie dough fundraiser orders and money are due asap! We will not be able to accept orders or money after this Thursday, November 30th. Thank you! 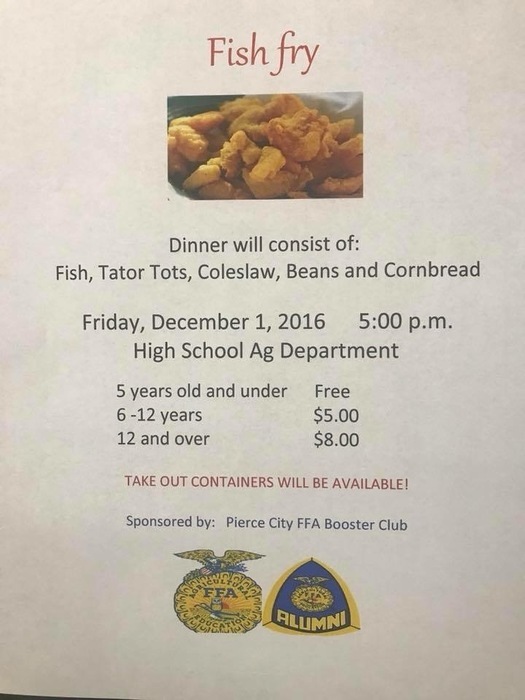 FFA Booster Club Fish Fry on Friday Dec 1st. Hope you can make it out and enjoy some good food and conversation. If you are an FFA Booster Club member we can use your help. The P.I.E. 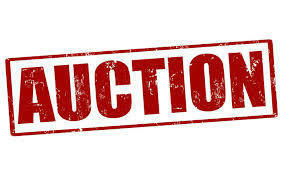 organization will be holding a bake sale fundraiser this Thursday, November 30th from 11:00-12:30. They are looking for anyone who would be willing to send baked goods and/or work the sale. Your help and support is always greatly appreciated! Thank you! 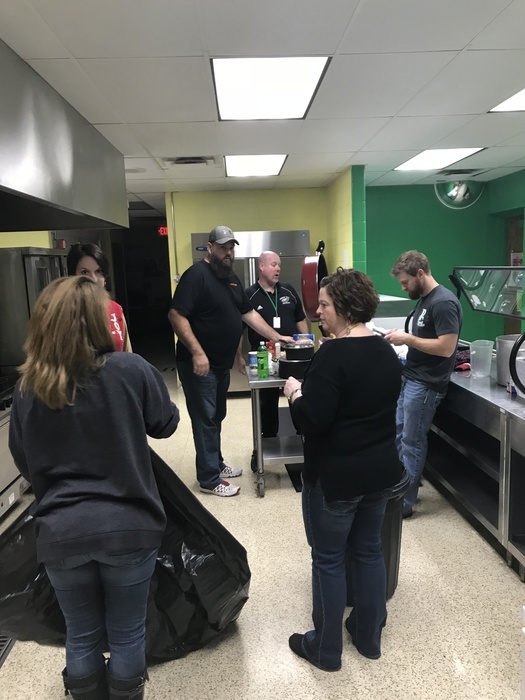 Due to the huge student success of the 2nd chance breakfast, the middle/high school will serve only Grab & Go breakfasts at 9:00 beginning Nov 28th and will discontinue the before school breakfast. We hope all of our students, staff, parents & community have a safe and enjoyable Thanksgiving Break! Kids return on November 28th! Lady Eagles open up the season tonight at home vs Cassville. Varsity at 6 followed by 1/2 jv game. Come out and support your Lady Eagles!! Just a reminder that school WILL BE in session on Monday November 20th and Tuesday 21st of next week per the district calendar. PC R-6 is in need of 2-4 crossing guards to help students in the AM from 7:15-8:00 Tuesday-Friday. If you are interested please contact the central office at 476-2555. The buses just pulled away from Central at 4:05 pm. 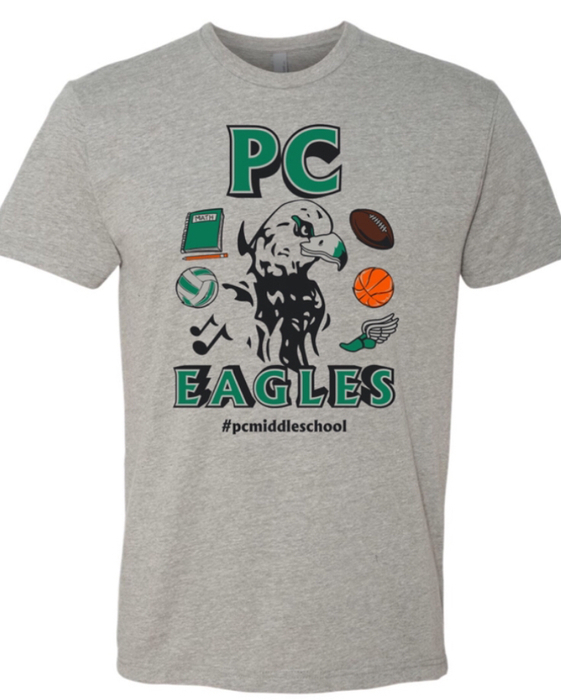 PCMS shirts (both short and long sleeved) may be ordered through this Friday, November 10th. The order form was attached to today’s bulletin, but can also be picked up in the middle school office. FFA Booster Club meeting Nov 10th after the FFA Chili Supper/Labor Auction. Will be discussing the Fish Fry fundraiser, any parent/alumni is welcome. Contact John Klieboeker 388-1523 w/ questions. Pierce City R-VI Veterans Day lunch and assembly is November 9 at 11:30 in the HS cafeteria. Please ask all Veterans that you know to RSVP at 476-2515. Football team finishes the year 11-1, SRVC Champs, & district runner-up! Congrats to the EAGLES on a great SEASON!! Kickoff for district football championship is 7:00 in PC. Gate price is $7,no passes are accepted, & children 5 & under are free. The second all pro dad breakfast and meeting will be held tomorrow morning at 7:00 in the high school cafeteria. This is open to all students from preschool through 12th grade. Tomorrow PCMS is having a "green out" contest between grade levels! Students are allowed to wear green and white face paint. We have uploaded the inclement weather procedures on the district website and school app under the documents section. We hope you find this information helpful. School picture re-takes are tomorrow for elementary through high school. Ghouls in the School is tonight from 6-8 pm at the high school. 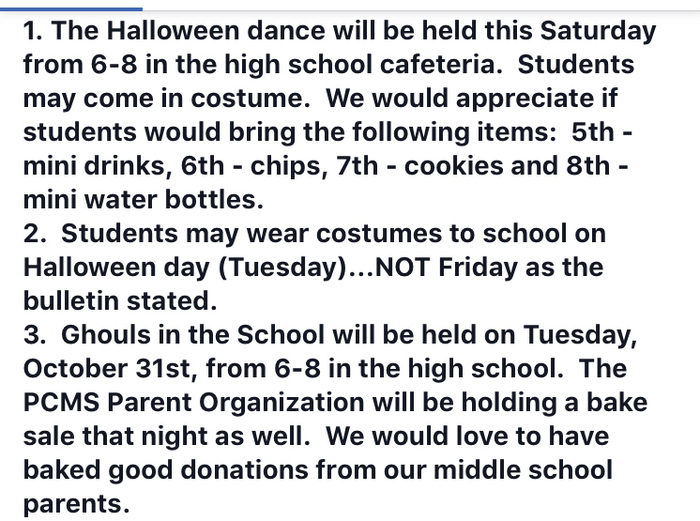 Middle school students may wear their Halloween costumes tomorrow! The middle school parent organization will be having a bake sale tomorrow night at Ghouls in the School! Any donated baked goods would be greatly appreciated! Those items can be dropped off at the ms office anytime tomorrow. Thank you! 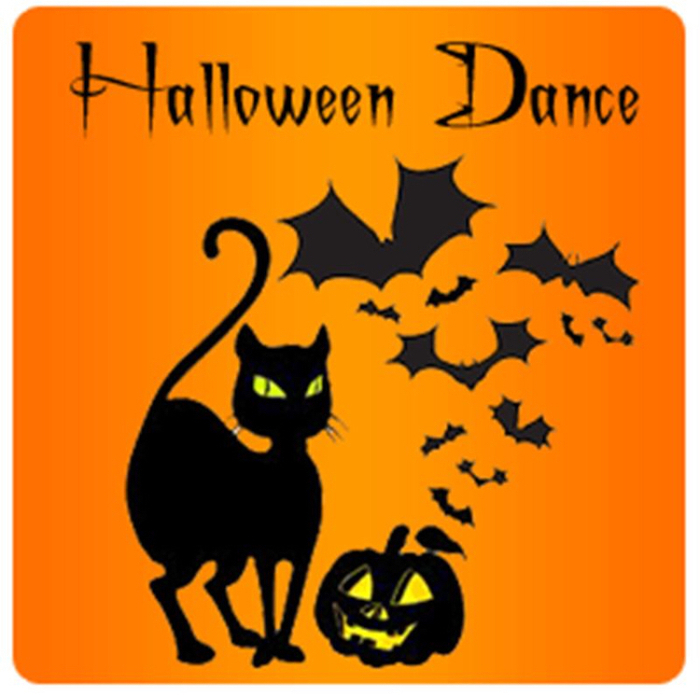 The PCMS Halloween Dance is tonight from 6-8 in the HS cafeteria! Students need to bring the following items: 5th - mini drinks, 6th - chips, 7th - cookies and 8th - mini bottles of water. We’d love to see LOTS of students there! Pierce City students in grades K-6 are encouraged to sit in the bleachers in the east end zone and make that end loud! Ghouls in the School is Tuesday, October 31 from 6-8 pm at the HS. Please join us for this fun and safe Trick or Treat event. Kickoff for tonight's home FB game w/ Ash Grove is 7:00. It's district playoff game so no passes of any kind will be accepted. Admission is $7 for everyone however, children 5 and under are free. 7th and 8th grade students will not be required to stay for Friday school to complete missing math assignments. Mrs. Ragsdale is recovering from surgery and was unable to update the Tyler system. This weeks podcast is now available on the website, district Facebook & Twitter. This week is an interview w/ Mr. Frey about the new robotics program. PTO Fall Event! Celebrate the change of seasons on Thursday, October 26 from 6:00-7:30 pm at Central Elementary. Come play games, enjoy a snack, and make autumn crafts with your children. Please join us tonight for ACT/Financial Aid night at 6:00 in the high school cafeteria. Pizza and drinks provided. Attend the football game following the meeting. Admission to game is $4. A big Thank You to Empire Electric for sending a crew to help with our FB field lights this week. Reminder: Building Committee meeting to review master plan update begins at 6:30. Pizza and drinks provided. You can now see all athletic events on the athletic tab on the website/app or in the event section. Please join us Friday evening for ACT/Financial Aid night at 6:00 in the high school cafeteria. Pizza and drinks provided. Attend the football game following the meeting. Admission to game is $4. Facility Master Plan update meeting Thursday the 19th at 6:30 PM, HS cafeteria. If you were involved in the previous building committee or just want to be involved please plan on attending. If you have 60 college hours and want to work with kids the PC district is looking to expand our substitute teacher list. Visit www.pcschools.net to apply on-line or call 476-2555. 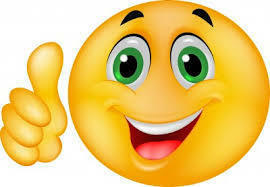 10 week progress reports will be e-mailed on Friday. Parents without a valid e-mail on file will receive their student's progress report in the mail. Building/Facility Committee meeting Oct 19th at 6:30 PM (HS Cafeteria).If you have been involved in this process or want to be please attend as we finalize the master plan revision. Food provided! High school parents are invited to ACT/Financial Aid night on October 20th at 6:00 pm. in the high school cafeteria. Pizza and drinks will be furnished. District football game begins at 7:00 pm. Big game for the Eagles tomorrow night as we invade Sarcoxie to take on the Bears for the SRVC championship! Kick off is at 7:00 and we hope to flood Sarcoxie with a sea of green Be loud and proud! Beginning today you will be receiving an evening all call if your child is absent from school. Thank you for your cooperation in working with us to improve student attendance. The Booster Club will be selling pom poms for Friday night’s football game for $1 during the lunch hour on Friday. This weeks' district podcast is now available on the website, Facebook and twitter accounts. Hope you enjoy! Buses will be delayed today due to a late field trip bus. Correction: The bonfire is for all high school Fall athletes and their families. Hope to see you there! There will be a bonfire tonight after the football game down by the gazebo for the team and their families. Hope to see you there! All Pro Dad is tomorrow morning at 7:00 in the high school cafeteria! We have a new addition to the school app! Now you can select "Dining" and it will link to the Nutrislice site for all menus! Students wearing green at tonights football game will get in free!! Day 2 of Spirit Week - Student Galaxy Day: 5th wears Black, 6th wears Pink, 7th wears Purple, 8th wears Blue and Teachers wear Red! Parent Conferences will be held tomorrow, September 25th, from 2:00-7:30. We hope to see you there! The junior high volleyball game scheduled for Tuesday at Lockwood has been canceled. It will be rescheduled, but those arrangments have not been made yet. The district weekly podcast is now posted on the website, Facebook and twitter. Due to unforseen circumstances, tomorrow nights JH volleyball games have been moved to Tuesday, 9/26 at Lockwood. Spirit Week/Day 3 - Dress wacky tacky! We all have a little wacky in us! Freshmen Parent Night tonight. Free admission to volleyball game v. College Heights at 6:00. Presentation and pizza between JV and V games. It's Spirit Week at PCMS! Wear your tie dye tomorrow! It's alway "groovy" to be an Eagle! Freshmen Parent Night is Tuesday. Free admission to volleyball game. Presentation and pizza in cafeteria between JV and Varsity games. JV game begins at 6:00. 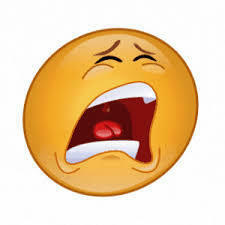 Our phone system is still down and we are scheduled to have repairmen here between 10:00-12:00. We apologize for the inconvenience this is causing but hope to have things operational ASAP. There is no P.I.E. meeting tonight. It has been moved to Thursday night at 7:00. I apologize for the error in the parent bulletin. This weeks podcast has been posted on the website and district social media sites. Tune in to listen to flexible classroom seating with 4th grade teacher, Mrs. Aust. Weekly podcast now posted on social media and district website. Hope you enjoy today's interview. Lady Eagles volleyball travels to Purdy tonight. JV game starts at 6:00. Come support your LADY EAGLES!! JV Football tonight at home vs Liberal in an 8 man game. Kickoff is at 6:00. Come support your EAGLES!! Just a reminder, you can pay your student's lunch account on-line through the parent portal. If you have ? 's please contact a building office. Have you submitted your free and reduced lunch application? If not please do so ASAP. Thank you! 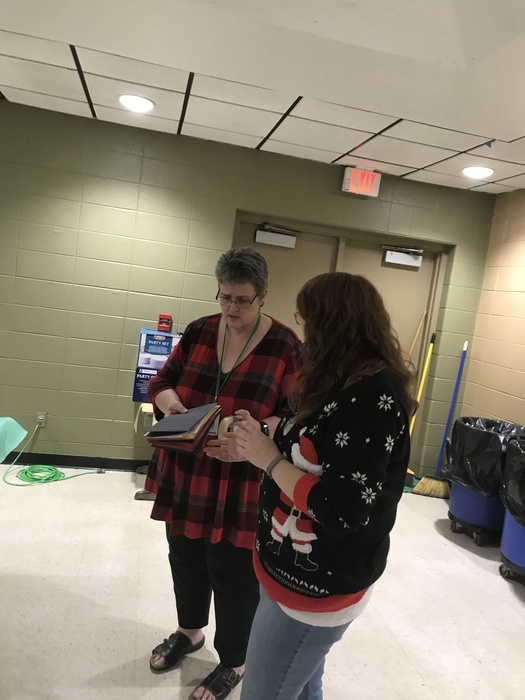 We have posted a new video in the "News" section from the American Heart Association that features Mrs. Jasumback and the Jump Rope for Hearth program. Found at FB game: Appears to be a man's ring and appears to have been there for awhile. If you lost a ring please call 476-2555 to identify and claim. This weeks district podcast has been uploaded and can be accessed in the "News" section of the website or app or on district Facebook and/or Twitter. New forms are available on the district app to submit a request to volunteer, share good news or report an alleged bullying incident. There is a new upload in the Parent/Community Resources folder in the documentation section of the district website and app. If you want quick access to student information download the Tyler SIS Student 360 app and search Pierce City. You can call building offices for log in information if you do not have an account yet. JV Football scheduled for Monday, August 21st vs Diamond has been cancelled. Great first day of school today! Thank you parents, students and staff! As a reminder, parents can pay their students lunch invoice on-line by logging into the parent portal. If you have questions about an account please contact your building office. This week's weekly podcast can also be found on the district app as well in the "News" section. 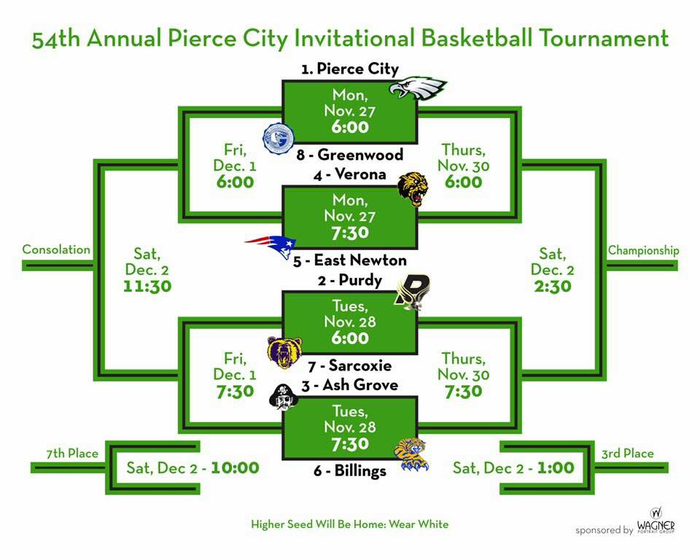 The Pierce City R-VI weekly podcast has been uploaded to the website under the "News" section. 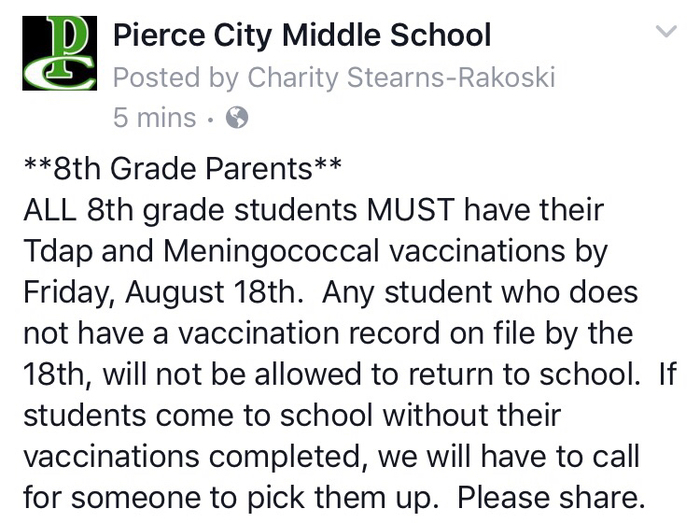 Please remember that 8th grade students must have their required immunizations by the end of this week! Central Elementary: School begins on Tuesday, August 15th. If you're planning to walk with your child to class on the first day, please plan to arrive between 7:45 am and 8:00 am. You can now access the district lunch/breakfast menu from the "Dining" section on the app and the website. Fall athletic schedules are now updated and available on app and website under the "Athletics" section. Athletic schedules are now being updated on the school app as well. Fall sports are almost complete. Athletic website update: You can now access the athletic website easier from the website. Select "Menu" and then scroll to the new athletic website option. Check out the new district Instagram account by searching for piercecityeagles or Pierce City R-VI. We made our first posting today. Don't forgot its Open House tonight from 5:00-7:00 in each building. Please plan on attending and meeting your child(s) teacher(s). Reminder: Lawrence County Health Department will be in the middle school to administer immunization shots for students in 8th and 12th grade on August 9th from 8:00-12:00. Cost is $5.00 or they will accept Medicaid. There is a new Parent/Community resources folder in the newly designed website. Go to "Menu" and then open documents to access. We will be adding to the folder throughout the year. There will be a football parent meeting following the Gatorade scrimmage this Tuesday to plan team meals and other parent support activities. 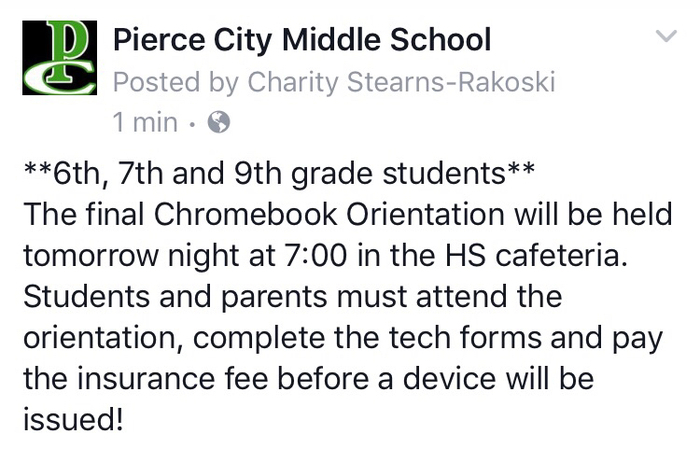 Chromebook Orientation for Grades 6,7,and 9 is Thursday, August 10th at 7:00 pm in the High School cafeteria. Reminder: Special Education teachers will be available on Open House Night. Share the love and ask your special ed teacher if they need any classroom supplies. 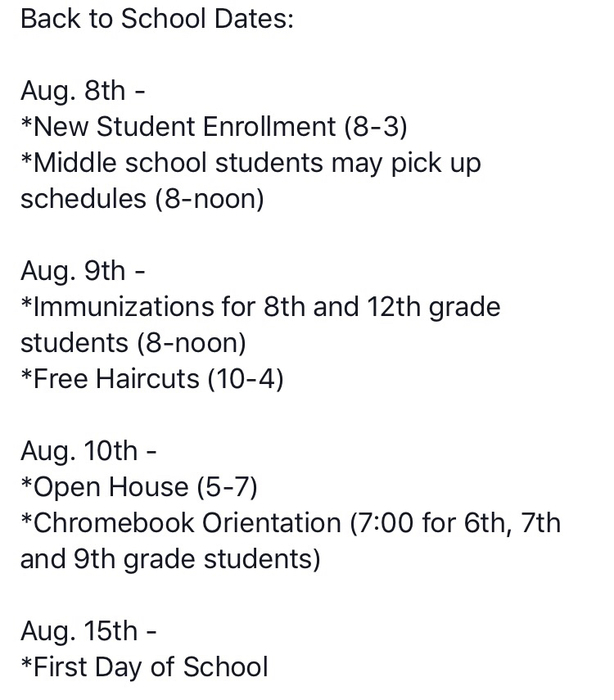 New student enrollment for Pierce City Middle School is Tuesday, August 8th. Reminder: 1:1 Chromebook forms can be found on the district website under the "documents" tab. Only 20 days until the first day of school! We are excited to see kids return to hallways and classrooms. Reminder: Fall practices start next week July 31st. All athletes must have physicals before participating. 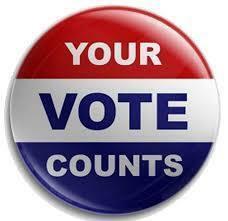 Election Day is August 8th, 3 weeks from tomorrow. Please mark your calendars! Updated information posted on website and district Facebook page. School supply lists for elementary and middle school are now posted under the News section of the website and app. You can now access staff email and contact information from the staff section on our website. We are continuing to make updates on the site and app. The time issue has been resolved in our event section so all times should be correct now. We apologize for the inconvenience. There is a bug in our events program on the website affecting the times. The dates are correct but times may not be accurate. Hope to have it corrected soon. 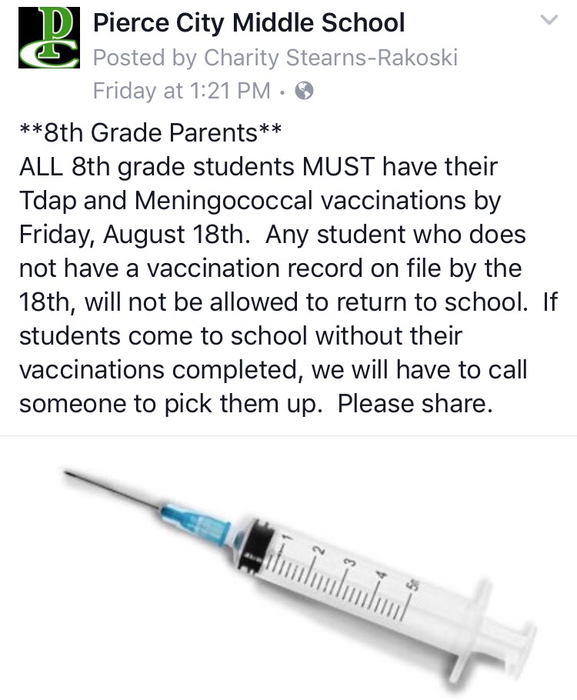 All incoming 8th grader are required to have Tdap & meningococcal vaccines before the first day of school. Law Co health will be here 08/09/17 from 8-12 to administer for $5.00 or medicaid card. Please be patient as we work to develop our new website and school app. Our goal is to create a more efficient communication system for our parents, students and community.